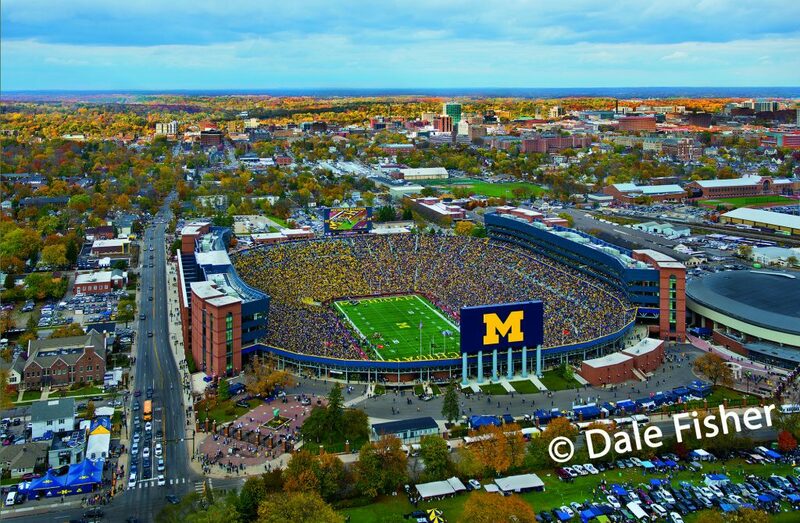 What better way to capture the University of Michigan’s Homecoming game than from the open door of a helicopter. The University of Michigan’s Campus, Hospital and Stadium look even more beautiful nestled amongst Fall’s colorful trees. The more Autumn’s brilliant colors bloom, the more Dale yearns to be in the air. Doing what he loves,… making art from the air. We are finalizing our flight plans, please contact us ASAP if you have a location/event you wish to be photographed. 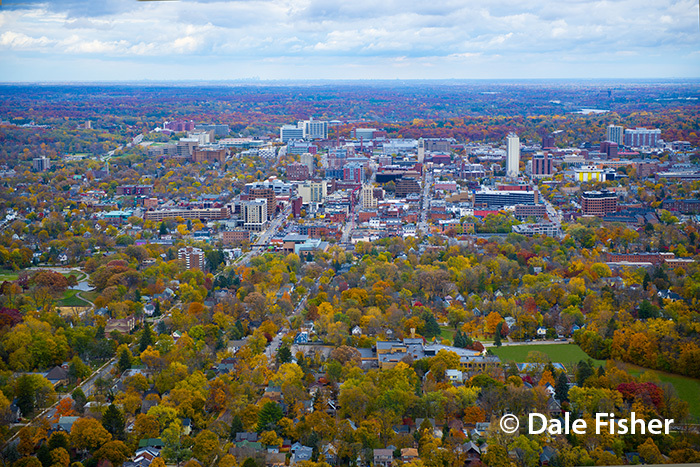 Spectacular Fall Aerial Helicopter Photograph of Ann Arbor which is surrounded by trees.